Can I sue the trucking company? If you or a loved one is involved in a trucking accident, because of the inherent dangerousness of these vehiclesyou may have suffered some significant or severe injuries, or had some heavy property damage such as to your vehicle. 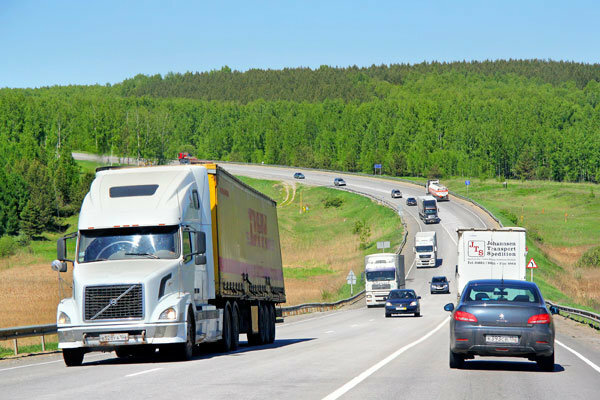 To recover compensation for these losses may take a large sum of money, more than a typical truck driver may personally have. Read about the types of compensation for victims of a serious truck accidents. Even though it was the individual truck driver who was involved in the accident, he or she may not be the only person responsible for your injuries and damages. What you, as a truck accident victim should know, is that in many instances the trucking company can be held liable for the damages and required to pay for the damages caused by the truck driver. In What Instances Can You Hold The Trucking Company Liable? If the truck driver is an employee of the trucking company, and he or she was driving the truck as a part of his employment when the accident occurred, than the trucking company will typically be held liable for its employee’s negligence, if any. However, sometimes proving an employment relationship between the truck driver and the trucking company is more difficult, because the trucking company has classified the driver as an independent contractor. In those instances many legal factors must be assessed, along with very specific facts surrounding the relationship between the driver and company, to determine if this classification is in fact accurate, or if the driver is, in fact, an employee. An experienced attorney can help identify the key legal factors and facts to make a determination of the driver’s true characterization to determine if the trucking company can also be held liable in a particular case. Why Should You Attempt To Hold The Trucking Company Liable? Victims of trucking accidents can suffer severe injuries and property damage, and the compensation needed to recover for those damages can be large. It is typically the trucking companies that have the necessary resources to make a plaintiff whole, either through assets or insurance company policy proceeds. Since holding the trucking company liable can be tricky, especially when they attempt to misclassify drivers as independent contractors, instead of employees to avoid liability, you need an experienced attorney to help you get the compensation you may deserve. Starr Austen and Miller, Indiana truck accident attorneys, focuses on representing individuals and their family members in serious personal injury and wrongful death cases, such as those often involved in trucking accidents. If you or a loved one have been in a truck accident you can contact us for a free consultation to discuss your case.